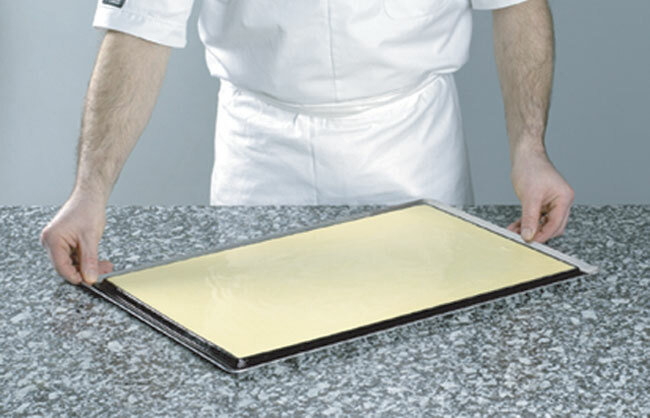 The FLEXIPAT® has all the advantages of the FLEXIPAN® due to its flexibility, its support and particularly its non-stick properties which makes turn out easier. It is used in a similar manner as the EXOPAT® on account of its flatness. 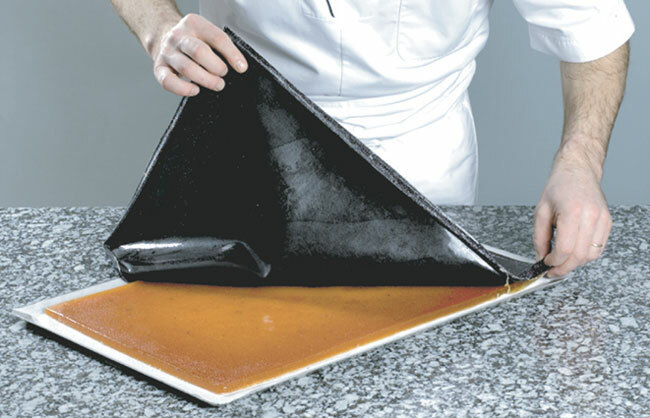 Flexipat features raised edges in its design and it allows Flexipat to be used in a variety of ways: : - spread or pour any type of preparations: fruit jellies, ganaches, coulis, crème brulée etc. - bake biscuits. 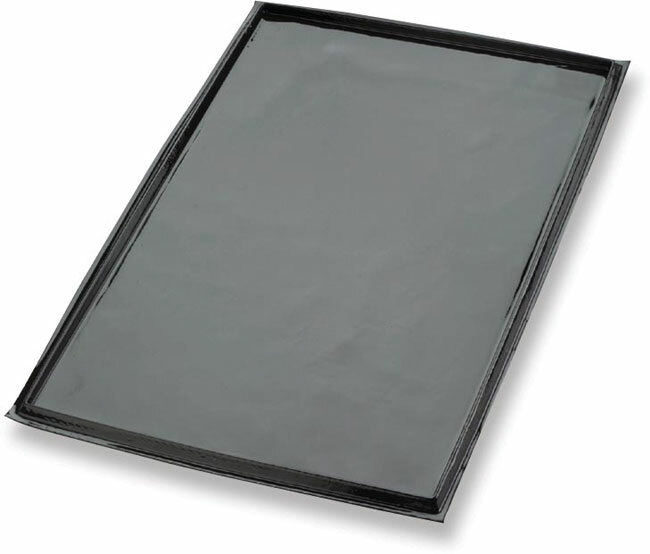 - obtain a sheet ready to assemble in frames, without wasting material. - ensure constant thickness. 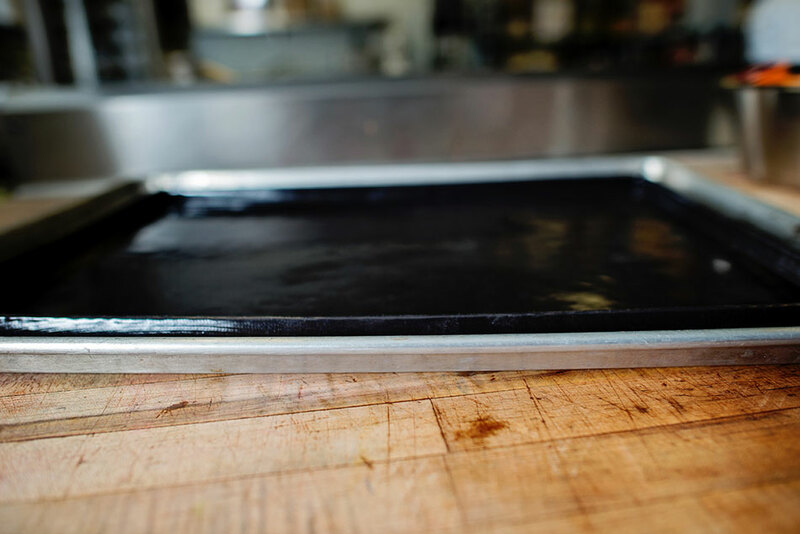 Mold turn out does not cause any problems on account of its flexible and non-stick properties of the FLEXIPAT®. It is very easy maintenance: just dip in soap water and clean with a soft sponge. 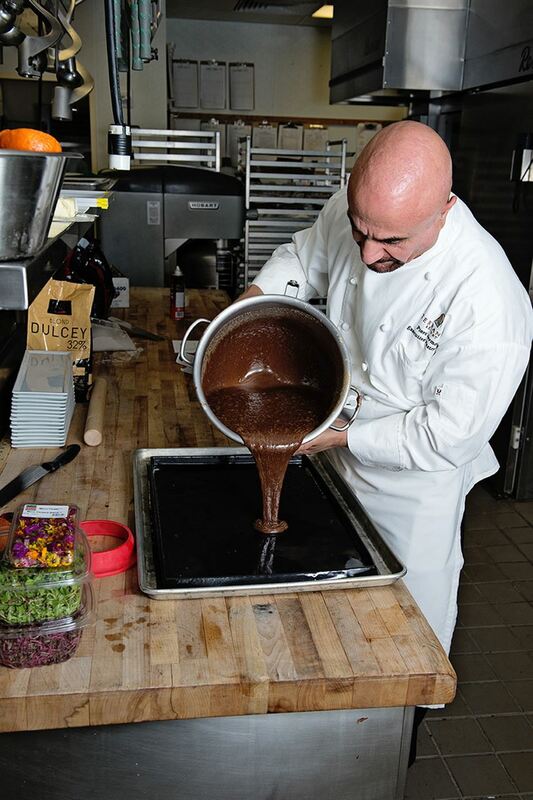 For drying, place in the oven for 2 to 3 minutes at 212° F.
21 3/4", 14 1/4", 3/4"